This member of the Portulacaceae family was described by Nélida María Bacigalupo in 1988. It is found in Bolvia and Paraguay. 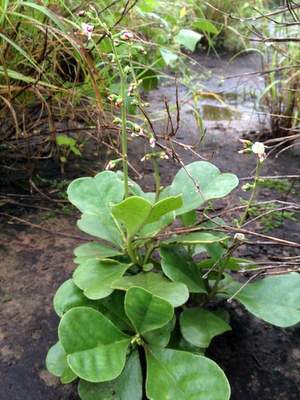 It is a xerophytic scrub with a tuberous root which can grow up to 6,5 centimetres in diameter. The branches will grow up to 40 centimetres. The flowers are white. It grows in a sandy soil with some water and some sun.